I signed up for the Be Inspired Cards class focused solely on Newton's Nook Designs' May and June releases. After watching one of the videos I came up with two cards using the lettuce image from the Vegetable Medley stamp set. The first one was done using distress markers and the second card was done using colored pencils. Lettuce us not discuss my coloring skills! These are gorgeous Tammy, such beautiful designs and I think your colouring skills are fabulous! These are both really cool Tammy!! 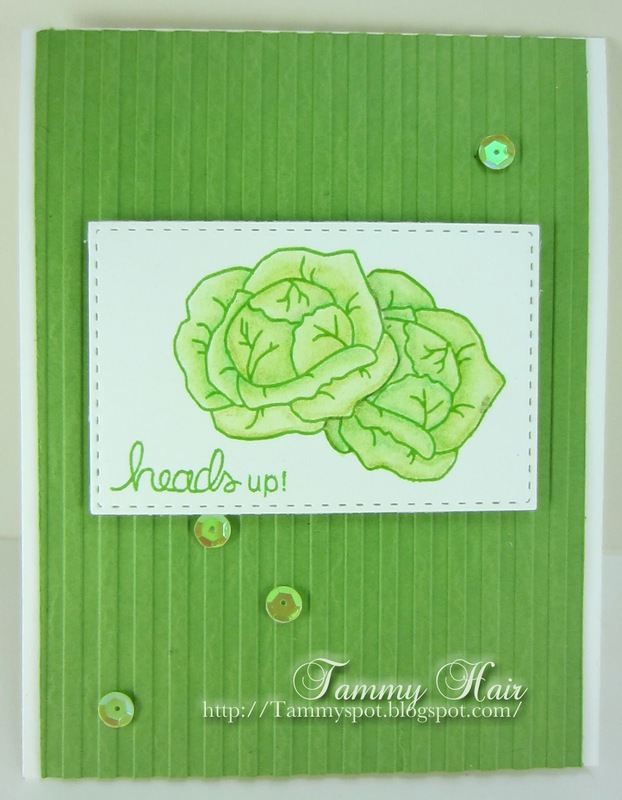 I love the monochromatic green and I really love the style with the embossing lettuce!! :) Fabulous coloring! Both of these are so cool. Love how the different mediums give such a different look (and your coloring skills are always fabulous). Cereally? Food puns, really? That's bananas! Bwhahahahaha....I LOVE this concept. I am digging both concepts very much! You're such a nut. In the most awesome and fabulous way ever. No, lettuce discuss your coloring skills.......FABULOUS! Love both of these so much!! Cute and fun cards. Well, we already know you've got MAD coloring skills, Tammy! Cute and punny! WOW and ..... WOW!! I'm in absolute AWE of your lettuce - so lifelike! Very simple but do they ever make a statement! Perfect coloring and design - I'd say you passed these classes with an A+! 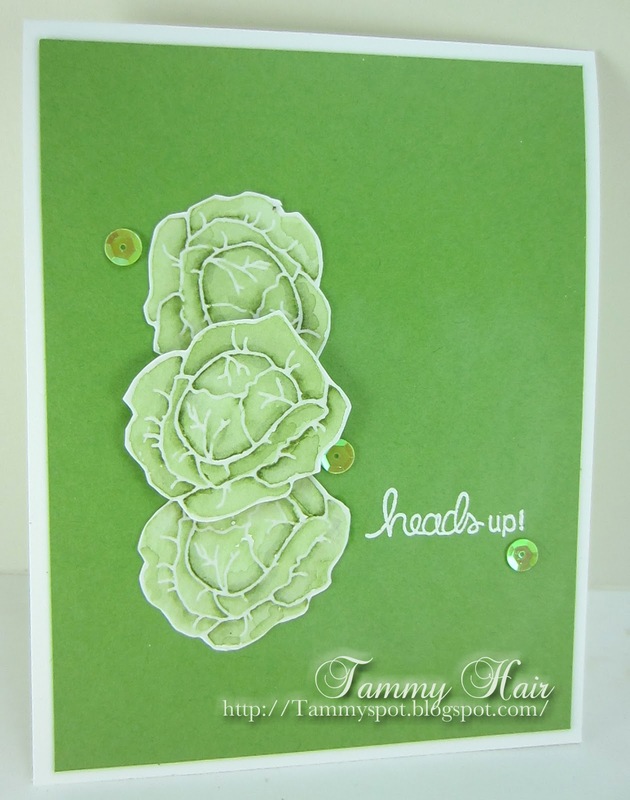 What a great sentiment for these fun cards, Tammy! Oh Tammy, you're so clever! I love this image & what you've done with it! How funny! what a clever card!